Built in 1980 as a 62 seat coach with a baggage room occupying part of the lower level of the car. Converted into a smoker coach with an enclosed, ventilated smoking room built inside the baggage room in September 1997 and renumbered 31514. 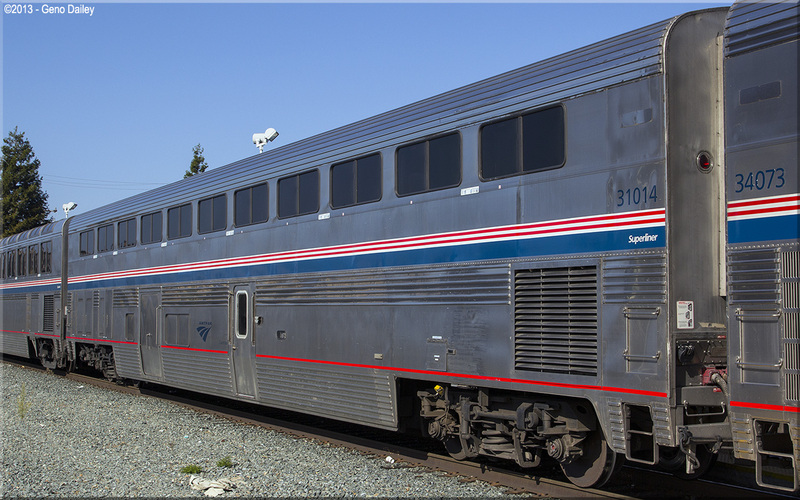 Converted back into a standard coach baggage car in May 2004 and renumbered back to 31014 after Amtrak eliminated smoking onboard most trains. On a side note, no, this photo was not taken during this trip, but on another back in 2013. I didn't realize I had forgotten to photograph the car until long after the trip was over, sorry for any confusion! Historical information about this car provided by www.amtrakbythenumbers.com.